Henry Lawrence Jones, 67, passed away Jan. 19 at his home. Born Feb. 27, 1951, in Laurens, S.C., Jones was a pioneer in sports tourism in the Myrtle Beach market. “Team members and their families make a vacation of their trips to sporting events,” said Jones in 2015 of the Grand Strand Softball Classic, whose organization brought 95 girls high school softball teams to Grand Park ball fields that year. 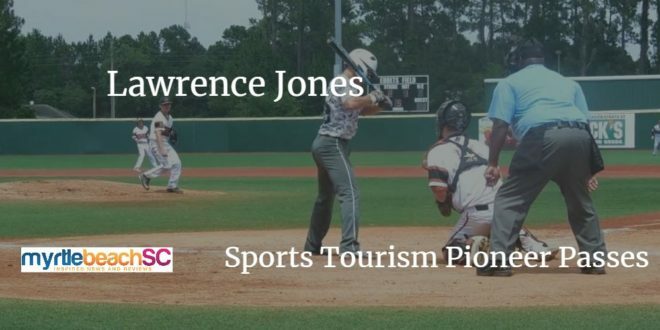 Jones started the tournament 22 years ago, and it was played on fields at Pepper Geddings Recreation Center before Grand Park opened in Myrtle Beach. As with other sports tourism events, the players’ families come to watch the competition, but the Strand and its many attractions also became a big part of their choice of venues. Most call Jones the father of Myrtle Beach Sports Tourism. Jones is survived by his wife of 48 years, Jenny Jones; daughters Kellie Kimball and husband Aaron, Kayce Stalvey (Russ) and Blakely Jones; grandchildren, Kennedy and Carter Kimball and Lyric Stalvey; sister Lee Russ, and half brothers Charles, Kevin, and Richard Kennedy. A celebration of life was held Jan. 23 at McMillan-Small Funeral Home. Memorials may be made to St. Jude Children’s Hospital, 262 Danny Thomas Place, Memphis, TN. 38105.